Who’s Eligible to Take the Test? What Content does the Stanford Achievement Test Cover? How is the Stanford Achievement Test Scored and Interpreted? How is the Stanford-10 Different From Its Predecessors? What Makes this Test different from Others? Who created the Stanford Achievement Test? How Can I Best Prepare my Child for the Stanford Achievement Test? The Stanford Achievement test (Stanford-10) both at home and abroad, to assess a student’s progress towards high academic standards. Though being replaced by state-created tests mandated by the No Child Left Behind Act in many places, the Stanford-10 is thought to be the more comprehensive exam. While meant to be retired in the summer of 2016, the test’s lifespan has now been extended. Therefore, the Stanford-10 could still prove vital to your child’s entry at many private schools. The Stanford Achievement Test is an exam used in many US private schools to determine eligibility for admission. It measures a child on various characteristics t essential to future academic success. These items include reading comprehension, listening comprehension, and problem-solving skills. Only accredited schools and school districts can purchase the Stanford Achievement Test. While administration of the test requires no specialized training, the Stanford-10 has been designed for use by qualified teachers or counselors. To be eligible to take the exam, a student can be in any grade from kindergarten to twelfth. For children with visual handicaps, the test can also be given in braille and large print. Reading: This section of the test measures your child on a wide spectrum of essential reading skills. An emphasis is placed on assessing skills considered foundational to literacy. Things measured include: phonemic awareness, decoding, phonics, vocabulary, and comprehension. The difficulty of these subtests to match your child’s appropriate grade level. Reading Comprehension: These questions ask your child to read selections from child or youth literature and answer questions relating to these passages. The selected pieces of literature have been chosen to interest children with a wide variety of backgrounds. This section requires the student to utilize skills relating to understanding, interpretation ,critical analysis, and reading strategies. Mathematics: When it comes to mathematics, the Stanford-10 measures your child’s knowledge of number sense, patterns, algebra, geometry, measurements, basic statistics, and probability. These questions have been designed to evaluate your child’s ability to interpret numbers and problem solve. This subtest will only be seen at Intermediate 1 and above. Traditional (A): This version of the test measures a child’s understanding of basic language mechanics. It focuses on word usage, punctuation, and capitalization. The second section of this test assesses a child’s ability to understand sentence structure. Comprehensive (D): Unlike the above, this alternate version focuses more on writing itself than on its underlying mechanics. Students will be tested on prewriting, editing, and composing in a manner that closely replicates the typical writing process. Spelling: A separate spelling subtest assesses your child’s mastery of structural and phonetic principles. These words are presented in contextual passages and therefore more closely represent real life editing. All misspellings are representative of mistakes students make most often. Listening Comprehension: This subtest has been eliminated from the test for students above Grade 9. It emphasizes listening strategies and the importance of listening skills in everyday life. This subtest closely mimics the reading comprehension subtest. Science: How well does your child understand the physical, earth, and life sciences? That’s the question that this subtest seeks to answer. Students must use reasoning skills to reach correct answers in questions relating to cause and effect, reading measurements, and drawing conclusions. In order to succeed, a student must apply foundational science concepts to each problem/ . Social Science: This final question type hopes to capture your child’s level of critical thinking and citizenship skills. The subtest splits its questions evenly between political science, geography, history, and economics. 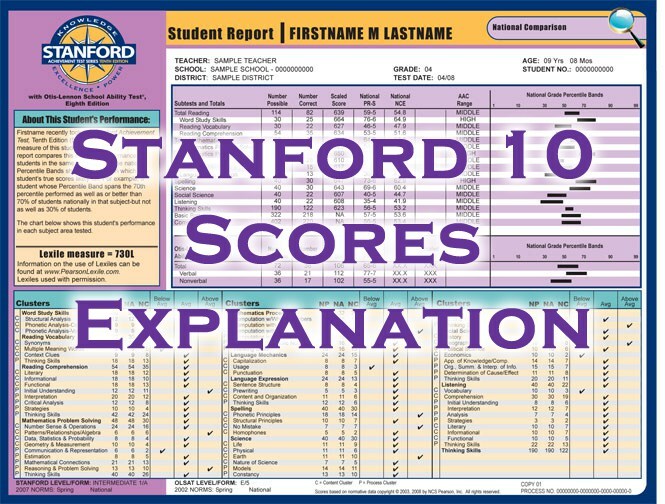 The Stanford-10 has been divided into 13 different levels based on current grade level. The skills within each level correspond to things taught from the last half of the current academic year to the first half of the next. This provides a greater opportunity to monitor growth than a test based solely on one academic year. Unlike many other gifted or achievement tests, the Stanford-10 has no time limit. However, depending on the level, guidelines suggest it takes between 2.25 and 5.5 hours to complete. The concentration of question types presented varies depending on the form, and level, selected. For example, mathematics problems would not be featured on a kindergartner’s exam. All questions have been designed to test up to four academic achievement parameters a piece. Additionally, no questions will be shared between different testing levels. This means that each problem truly reflects the requirements of the given academic year. The Stanford-10 can be taken in Fall, Midyear, or Spring. In addition to flexibility in its timing, this test also presents students with a variety of valid mediums. You can choose to take it via paper-and-pencil or online. Interpreting your child’s success on the Stanford Achievement Test can be confusing. Raw Score (Number Correct): This score simply lists the number your child answered correctly over the amount possible in each section. This score will be manipulated, and compared, to create the other numbers on the report. 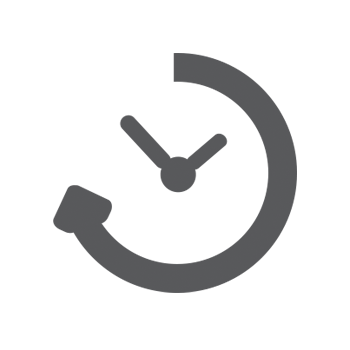 Scaled Score: This number represents a statistical conversion of the raw score. It’s unimportant to parents. Nation PR-S: This section contains two scores: the percentile ranking (PR) and the stanine (S). These numbers allow you to easily compare your student to others in their grade range. The first of these, the percentile rank (PR), tells you what percentage of students scored lower than your child on the same test. Its scores range from 1-99. Following on the helels of the PR is the Stanine score (S) This number organizes children into 9 categories based on their score. Stanines 1, 2, and three represent below average performance. Those students grouped into stanines 4,5, and six scored in the average range. To be considered above average in performance, a student must score in Stanine 7, 8, or 9. National NCE: The Normal Curve Equivalent (NCE) provides helpful information about your child’s performance from one year to the next. An increase above 10 points represents more than one year of progress in a subject. 1920s: The test was expanded to include students in the ninth grade. Additionally, the history and literature sections were separated. 1930s: This decade saw some small revisions and the creation of the test’s first interpretation guide. 1940s: Almost 80-percent of the items on the test were replaced. A new set of norms, based off a much larger sample size, was also released to the public. 1950-1980: The test saw new sections added and several new versions of the test created. It also saw grading styles change from almost solely subjective to almost wholly objective. 1996: The ninth version of the test was released. This year also saw the writing test eliminated and some changes made to the curricula. The current version of the test, the tenth, was first released in 2003. It made significant revisions to the ninth version required to emulate a modern curriculum and the modern laws regarding testing standards. How is the Stanford-10 Different from Other Achievement Tests? The Stanford test is a highly-rated, nationally standardized exam. It provides a lot of versatility in terms of timing, test-taking medium, testing format, and administration. Additionally, to cover all your testing bases, this achievement test pairs well with the cognitively-focused OLSAT-8. When compared to other equivalent tests, such as the Iowa Standardized Test, the former seems more http://www.originstutoring.com/differently-abled friendly, adaptable, and comprehensive. Lewis M. Terman, a former professor of psychology at Stanford University, developed the Stanford Achievement Test in 1922. World Book Company published the first edition of the test later that year. Over the past century or so, the test has undergone 10 major revisions. Practice will prove your child’s best friend when it comes to testing day. We suggest that a student takes as many grade-level practice tests as he or she can before sitting for the exam. Before practice even starts, be certain to familiarize your child with the testing format, length, and requirements. Remind your child that there’s no rush. After all, the Stanford-10 doesn’t rely on the clock. In addition to the above, as this is a knowledge-based test in some ways, work with your child on common spelling and mathematics mistakes for their grade level. If you choose to take the Stanford Achievement Test in conjunction with the OLSAT-8, you’ll need to use a whole other set of practice tips.